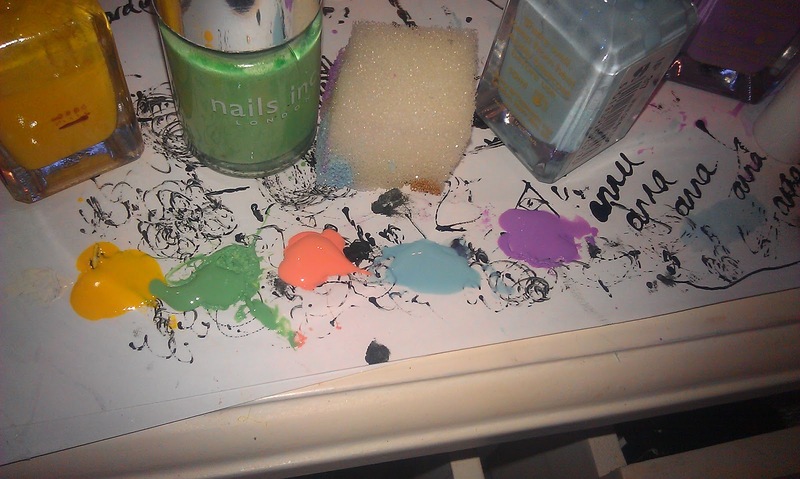 I used a variety of pastel colours from Barry M (and a mint green from Nails Inc.) and put drops of the colour on the nails. 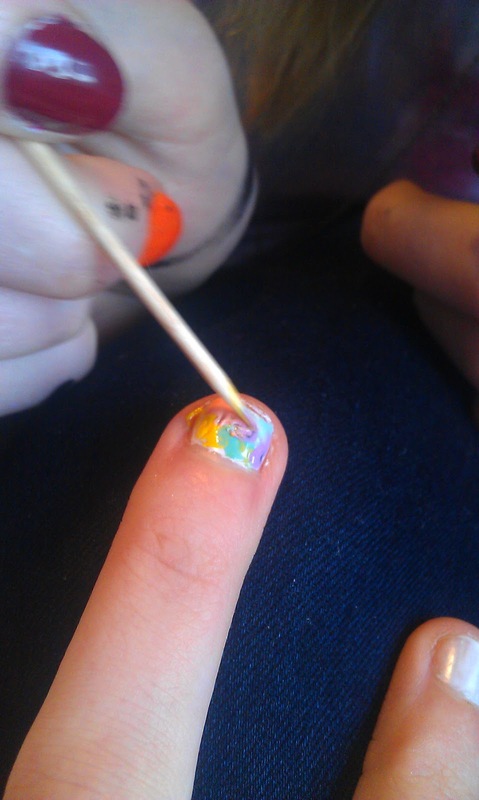 Whilst the colours were still wet, I used a cocktail stick to swirl them together and to blend them even further, put on a clear topcoat whilst the colours where still wet. 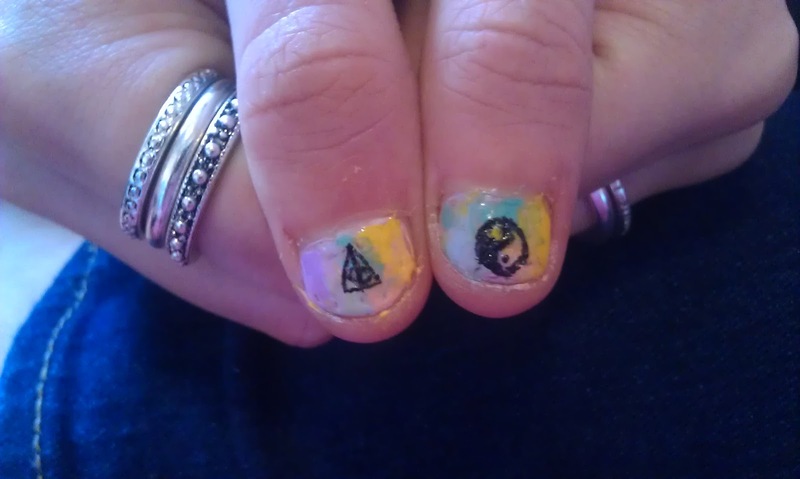 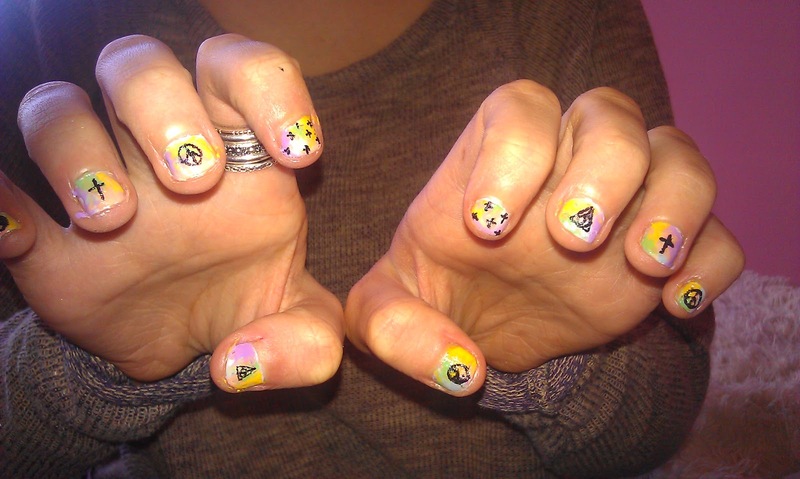 I let them dry and used a black nail art pen from Primark to draw various things on them.